Back in 2007, NPQ’s Cohen Report identified what we saw as a conflict of interest between the Starr Foundation, the National Chamber Foundation, and the personal and business interests of former American International Group (AIG) CEO Maurice “Hank” Greenberg. Now comes word that New York Attorney General Eric Schneiderman has subpoenaed a bunch of records concerning the financial transactions of the Starr Foundation, which was founded by Greenberg, and the National Chamber Foundation. 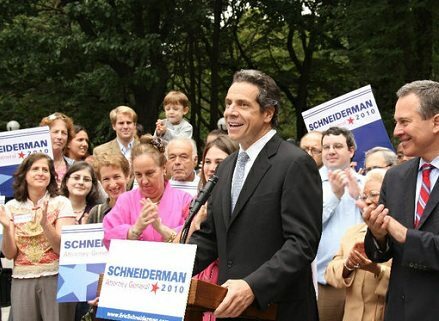 Included in the Schneiderman inquiry are requests for information on the transactions of the National Chamber Foundation, a 501(c)(3) prohibited from using funds for electoral activities, and the U.S. Chamber of Commerce itself, a 501(c)(6) that has not been shy about campaigning for or against specific candidates. The Chamber has dismissed Schneiderman’s inquiries as old news meant to scare off donors from exercising their free speech rights by giving anonymously to nonprofits like the National Chamber Foundation. His concern is for the likes of the Koch brothers, who had suffered aspersions cast by an unnamed White House aide, as well as Idaho businessman Frank VanderSloot, whose opposition to Obama had allegedly led to “people…digging through his divorce records, cable television hosts…going after him on air, and bloggers…harassing his kids.” McConnell has also lamented that Tea Party groups “received a lengthy questionnaire from the IRS.” The list of victims is a little peculiar, given that the Koch brothers are generally immune to bricks and catcalls and the IRS questions to the Tea Party groups were entirely legitimate, as the NPQ Newswire has pointed out here and here.